These are the finest condominium addresses in Washington, DC and each of these homes allow you to enjoy the best amenities and views the city has to offer. No matter what you're looking for, we can help you find a DC luxury condominium that will meet your needs. Contact us anytime if we can be of assistance. 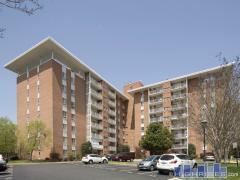 You can also view luxury condos in Virginia by visiting our Alexandria or Arlington pages.